Choose from the projects below to read more about EPRO products in action. The property at 1840 N. Highland Ave. is a new, luxury multifamily complex in the heart of Hollywood, CA, steps away from the world famous Hollywood Bowl and Hollywood Boulevard. The 118-unit complex will sit on an 8,144 square-foot lot, and presented several challenges, which 70,000 square feet of EPRO’s E.Protect+ and E.Proformance below-grade solutions were able to mitigate. Situated in the city of Burnaby, directly east of Vancouver, Brentwood Town Center is an expansive mixed-use development on a 28-acre site. 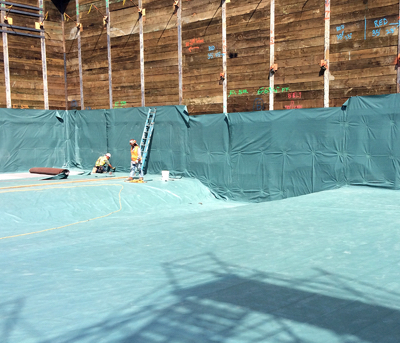 On a project of this size and scale, it is essential to select the right waterproofing solution. It is critical that the right materials be selected and executed perfectly: Brentwood Town Center is not an easy job. 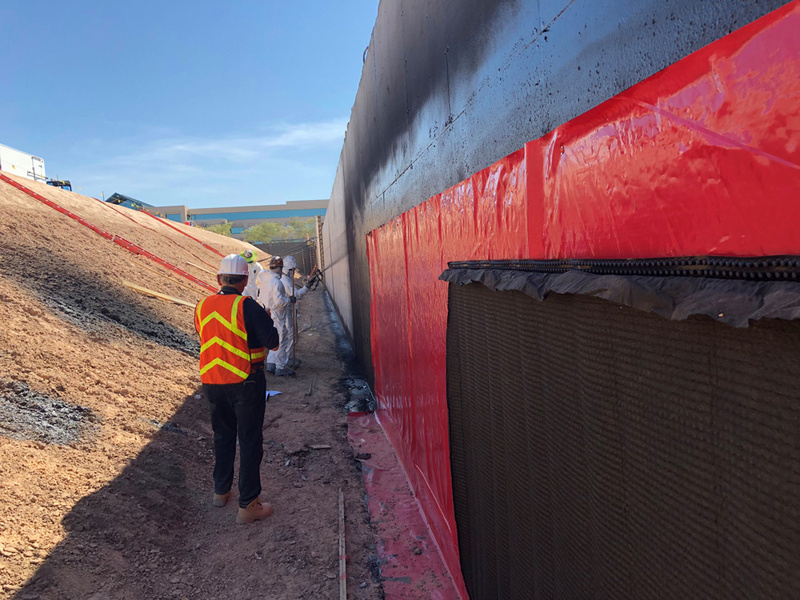 Because of their expertise in the field and experience with many different conditions, Ellis Don, responsible for construction and building services, selected J’s Waterproofing to meet the needs of such a demanding project. Located approximately 20 miles outside of Seattle, Kent, WA, provides convenient access to this major city via the Sounder Commuter Rail and local bus lines. In this part of the world, the weather tends to be rainier, and the overall environment is more damp. Buildings must be adequately protected. 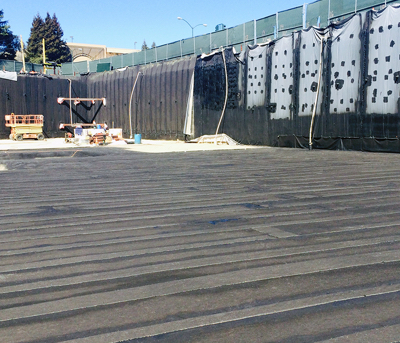 EPRO, Inc., a leading expert and manufacturer of waterproofing and contaminant barrier systems, has a history with projects in the Puget Sound area, and was also selected for use at Dwell. 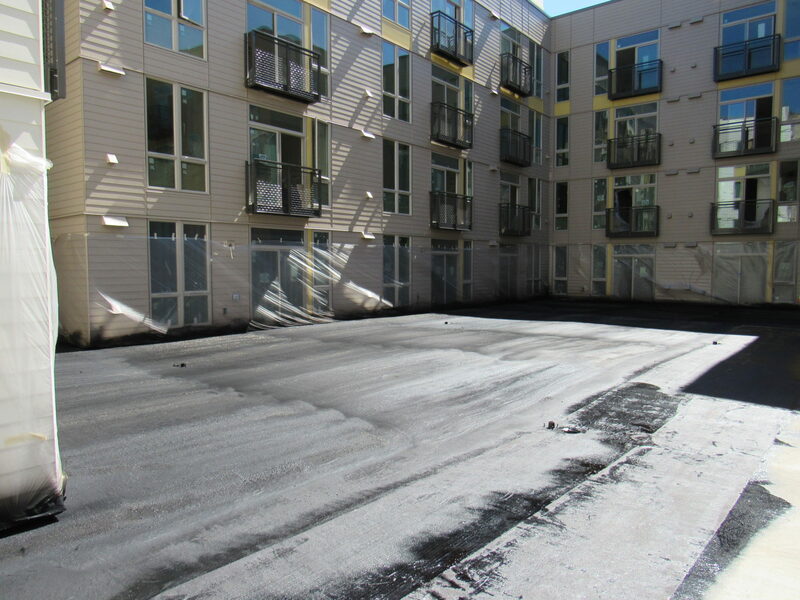 At the Legacy Apartments, Lizard Waterproofing applied 20,000 square feet of E.Protect assembly. 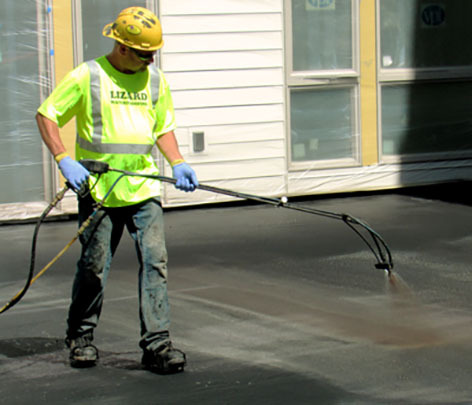 A 120 mil reinforced spray-applied membrane provides many application advantages in the Northwest, where rain and constant moisture are often present. e.spray can be applied during these “normal” conditions because e.spray has a higher moisture tolerance when applied. 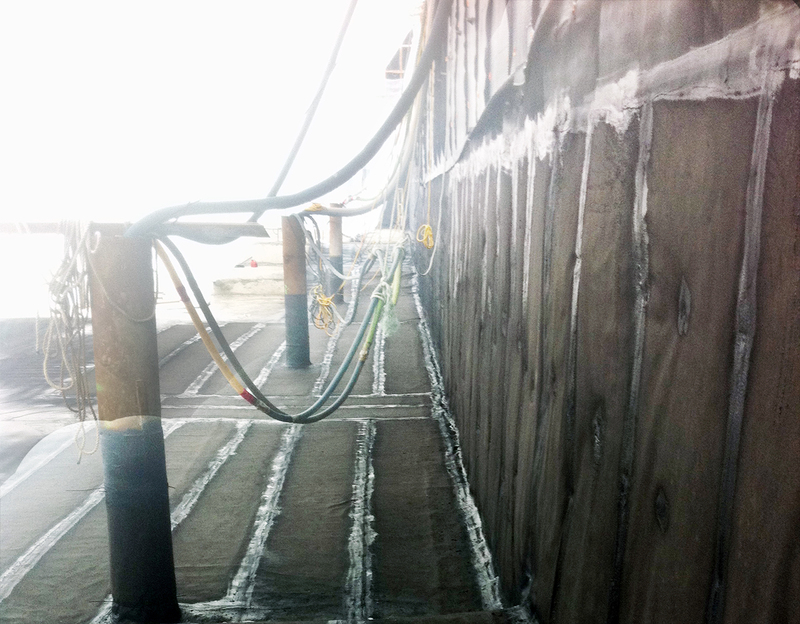 550 Broadway in Seattle provided the project team a viable alternative to commonly installed bentonite. 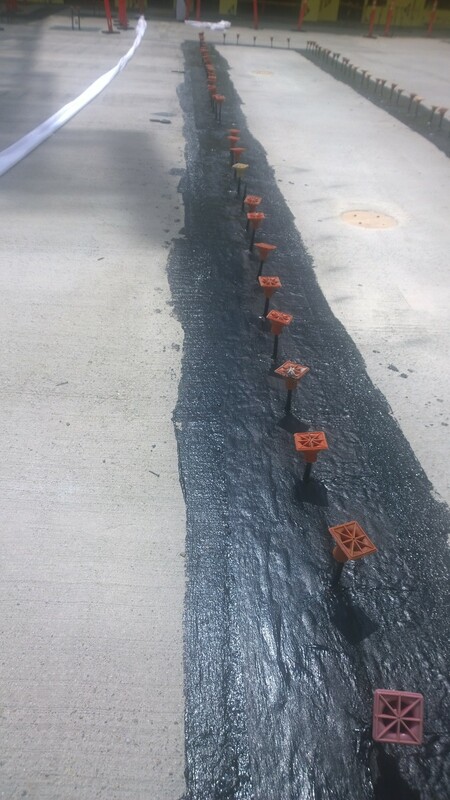 The application of e.spray directly to e.drain provides a proven system for lower risk sites without the presence of hydrostatic pressure. 580 Anton is located in Orange County, CA near the John Wayne Airport and the Orange County Performance Arts Center. The area has a naturally high water table, but a man-made lake located within a few hundred yards from the edge of the site also contributes to higher than expected water table. 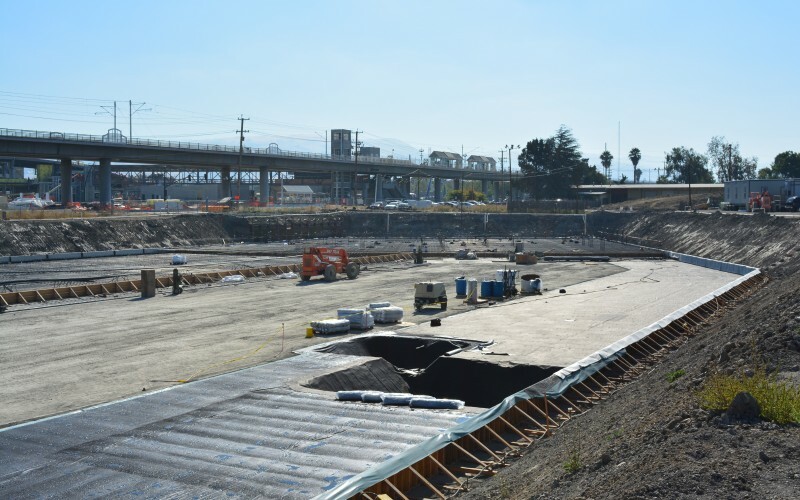 During the excavation phase, groundwater was encountered and the waterproofing consultant and owner decided that Epro would provide ideal protection given the job conditions and budget constraints. Located in Redwood City, CA. 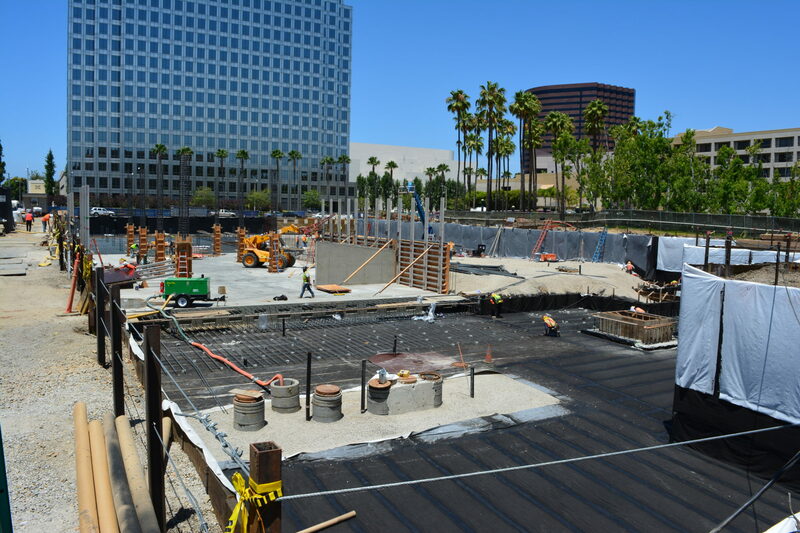 The Jefferson and Franklin development required underslab and below grade shoring wall protection. E.Protect+ was specified by both the waterproofing consultant and the architect to prevent water ingress. 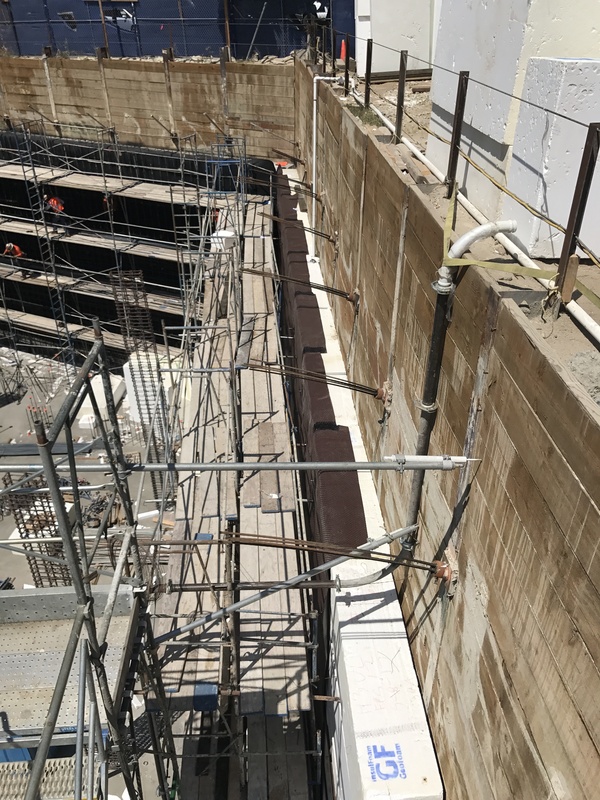 Installed by J’s Waterproofing, E.Protect Underslab and E.Protect Shoring was installed on the below grade area to protect against groundwater. Working with the general contractor and waterproofing consultant, this building is protected against hydrostatic pressure. 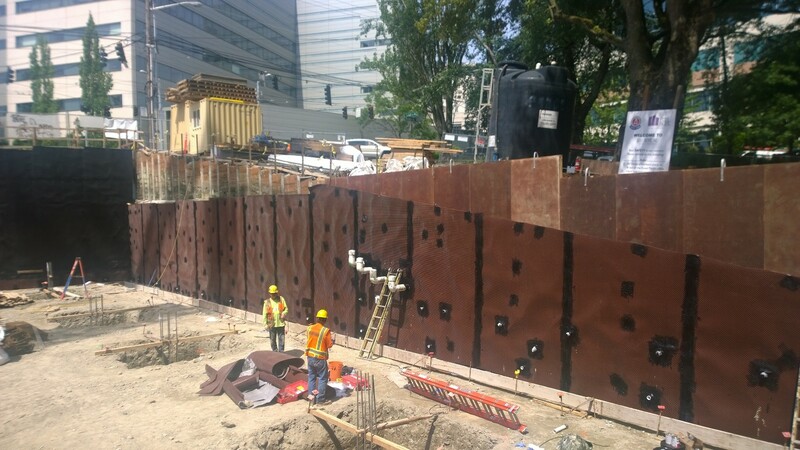 450 Montague is a multifamily development with a slab subjected to hydrostatic pressure. 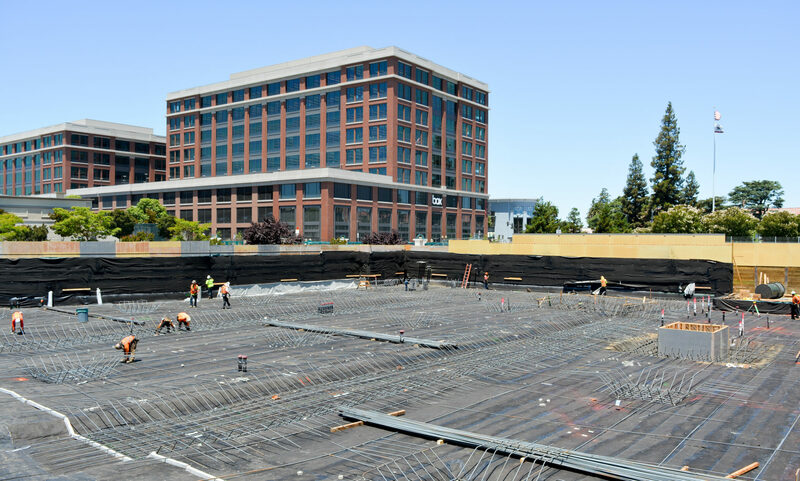 E.Protect+ was applied to approximately 100,000 square feet of underslab area, and 20,000 square feet of shoring and over-excavated cast-in-place walls.